Healthcare analytics can be used to describe the healthcare analysis activities that can be undertaken as a result of data collected from the healthcare areas like claims and cost data, clinical data, pharmaceutical and research development and patient behaviour and sentiment data. The increasing need to improve the efficiency of the current healthcare institutions, medical practices and professionals and demand to lower the increasing healthcare costs are the primary drivers that boost the North America healthcare analytics market. 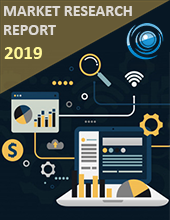 North America Healthcare analytics market size is projected to reach approximately $7.252 billion by the end of 2024 with a CAGR of close to 29.54% from $1.98 billion in 2017 during the forecast timeline 2018-2024. The significant factors that propel the growth of the North America healthcare analytics market are increasing need to improve the quality, increasing research and development in advanced healthcare analytics, implementation of the government initiatives to increase the EHR production and emergence of big data analytics in the industry. However, lack of skilled labour, data safety and data integrity concerns and the organisational procedures for data sharing may hinder the growth of the market. North AmericaHealthcare Analytics Market is segmented by the type which is further segmented into descriptive analytics, predictive analytics, and prescriptive analytics. Among these analytics types, prescriptive analytics holds the largest market share due to the ability of prescriptive analytics to ensure the integration of predictions and prescriptions. On the basis of Application, financial analytics holds the largest market share value due to the rising focus of payers on the early detection of fraud and reducing preventable costs and on the basis of component, services segment holds the largest market share value owing to the increasing need for the business analytics services and the technology advancements in healthcare analytics. By Geography, United States dominates the healthcare analytics market due to its growing federal healthcare mandates to control the increasing healthcare costs and regulatory requirements and rising of the government initiatives focused on the personalised medicine.